‘One-hundred nineteen votes, and I’d be in the US Congress right now?’ The story behind the 1996 recount in Mass. William Delahunt (left) and Philip Johnston joined hands in front of Weymouth Town Hall during a press conference in 1996. His primary election had ended months earlier. Even the 10th Congressional District’s general election — in which, for a time, he was the Democratic nominee — had passed. And still, Philip W. Johnston was in the Elections Division of the secretary of state’s office in early December 1996, poring over ballots from his primary loss to William D. Delahunt and musing over a race that would change Massachusetts elections forever. Twenty-two years later and an hour’s drive north, many in the Third Congressional District are asking themselves the same question. There, in the heart of the Merrimack Valley, Lori Trahan and Dan Koh are separated by just 122 votes, prompting a hand recount of ballots in 37 cities and towns that began Thursday and is scheduled to continue through the weekend. After Thursday’s gas explosions, fires, and power outages in the region, officials said they would count ballots as planned in Andover and at a new location in Lawrence on Saturday. The recount is expected to conclude by its Monday deadline, according to Secretary of State William F. Galvin’s office. 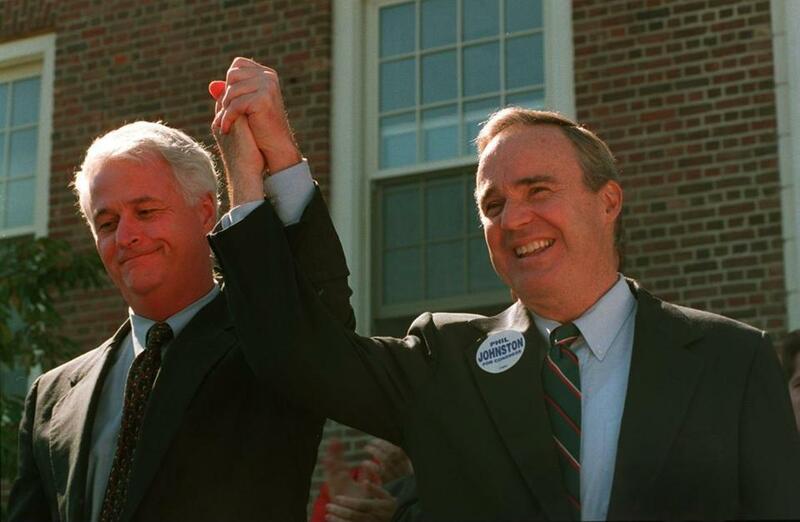 The ballot-counting drama has conjured many a memory in the insular world of Massachusetts politics of the famous — and chaotic — 1996 race between Johnston and Delahunt. After a three-way primary that also included Ian A. Bowles, Johnston emerged as the victor on primary night, topping Delahunt by 266 votes to be the party’s nominee to replace retiring Representative Gerry E. Studds. But Delahunt pushed for a recount, which again gave Johnston a win, this time by 181 votes. Or so it seemed. Delahunt filed a challenge in Superior Court, charging that the punch-card system used in Weymouth failed to record votes for him. And then, weeks after the primary, a judge reversed the recount after reviewing 956 disputed ballots, handing Delahunt a win. The secretary of state ultimately determined the margin to be just 119 votes. So instead of perforated holes, in many cases, there were just dents, which registered as blanks when scanned by a machine. Inspectors were later able to read the dents and found enough of them in Delahunt’s favor to declare him the winner. After the race, Galvin persuaded Massachusetts communities to adopt more modern techniques, such as optical scanner devices, and to abandon punch-card ballots — the same antiquated system used in Florida that came under scrutiny in the 2000 Bush-Gore presidential election. It means the same problems that plagued that vote are nonexistent now. But both candidates recall it vividly. “It becomes a legal matter. It’s not a political matter,” said Johnston, who at the time hired attorney Dennis Newman to oversee the recount for him. Newman is now serving in the same role for Trahan. The day the court decision came down, then-first lady Hillary Clinton had arrived in Quincy to rally support for Johnston. Delahunt didn’t attend. And Johnston did. He later served as the state Democratic Party chairman. He said he talked to Koh last week, recounting (yes, pun intended) his experience of going through the process.